Ron offers Apollo Rehab clients a multi-disciplinary approach to therapy and healing refined through his 25-plus years experience in the professional massage industry. He earned a Bachelor of Science Degree in Exercise Physiology from Florida International University and a License in Professional Massage Therapy from Florida Institute of Massage Therapy and Aesthetics. 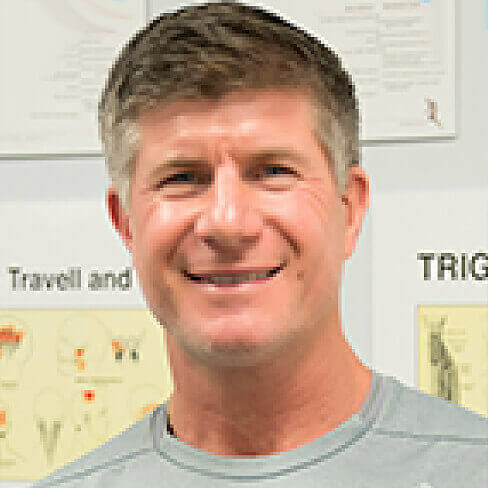 Highlights of his formal education include neuromuscular therapy, physiology of exercise and most recently a specialization in fascial stretching. Ron draws on years of experience working on world-class athletes, NFL players and US Olympic soccer players to sharpen his approach that focuses on increasing movement and removing restrictions that hamper performance and lead to dysfunction and injury. In addition, Ron’s experience providing high-end, luxury spa massage therapies affords him further insights into tailoring approaches to the individual needs of a client. The combination of Ron’s skills allows him to collaborate with the the physical therapists to optimize and expedite clients’ rehabilitation process. Ron was raised in Southern Florida and is an avid golfer and organized soccer player. He is a Member of the American Massage Therapy Association and Chairman of the Advisory Board for the Hollywood Institute of Beauty.